Otis Redding’s best-known song is the dreamy, kick-your-shoes-off-and-relax “(Sittin’ On) The Dock of the Bay,” which can conjure up the feel of a lazy afternoon no matter what kind of weather is brewing outside your window. Redding co-wrote the song with Booker T. & the M.G.’s guitarist Steve Cropper in 1967, and recorded it in December of that year. It was hoped the song, which had a decided pop feel in contrast to Redding’s more usual soulful style, would help further Redding’s crossover potential; his songs did well on the R&B charts, but were just nudging the pop Top 40. And the song succeeded beyond everyone’s wildest dreams—but for all the wrong reasons. Instead of opening the door to further pop chart success, “Dock of the Bay” became Redding’s eulogy, the first posthumous single released after his death on Dec. 10, 1967, in a plane crash. The single topped the pop and R&B charts and became Redding’s first gold record. But all that would be left to explore of Redding’s work were the tracks he left behind, in a recording career that had been curtailed far too soon. But at least there was plenty to explore. At the time of his death, Redding had released six studio albums and a live album; subsequent years have seen the release of more live albums, previously unreleased studio recordings, singles and B-sides collections, and “best of” compilations. Twelve of them have been compiled in this box, from the raw soul of 1964’s Pain in My Heart to 1970’s Tell the Truth, which featured some of his last studio recordings. And there are plenty of notable names among his backing musicians as well, not only the aforementioned M.G.’s, but also the Mar-Keys horn section and one Isaac Hayes, all of them hustling to bring the Stax Records sound to the world. 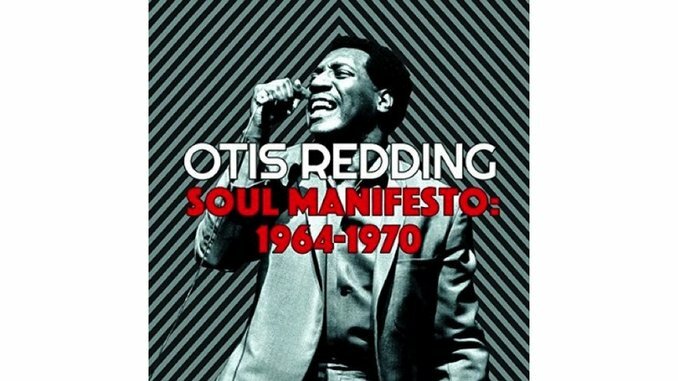 Of course Redding was a soul master; that much is apparent even on that first album, where he cruises through Sam Cooke’s “You Send Me,” Little Richard’s “Lucille,” and the garage rock classic “Louie Louie” with ease. Then his own songwriting skills began to bloom; Otis Blue/Otis Redding Sings Soul has Redding’s brooding “Ole Man Trouble” and that classic-in-the-making, the original version of “Respect” (as well as a nifty take on “[I Can’t Get No] Satisfaction”). “Fa-Fa-Fa-Fa-Fa (Sad Song)” (another co-write with Cropper), on Complete & Unbelievable…The Otis Redding Dictionary of Soul, has the kind of “sadness” that actually sounds a bit joyful, while his “Ton of Joy” is sweet in its tenderness. And he has great fun jousting with Carla Thomas on the duets album King & Queen, from the feisty “Knock on Wood” to the teasing “Ooh Carla, Ooh Otis.” Best of all, the set gives you the chance to experience Redding in performance, on Live In Europe and In Person at the Whisky a Go Go, which feature riveting versions of “Papa’s Got a Brand New Bag,” “Day Tripper,” and Redding’s own “I’ve Been Loving You Too Long (To Stop Now).” A one, or even two, disc “essential” set of Redding’s stuff wouldn’t be nearly enough to let you really get to the man and his work; Soul Manifesto hits all the bases, as you (re)discover that voice you never get tired of hearing.